Arka is a student of class 12 in Barasat Mahatma Gandhi Memorial High School. He was studying hard for his 12th exam and then pursue higher studies to eradicate poverty of his family . 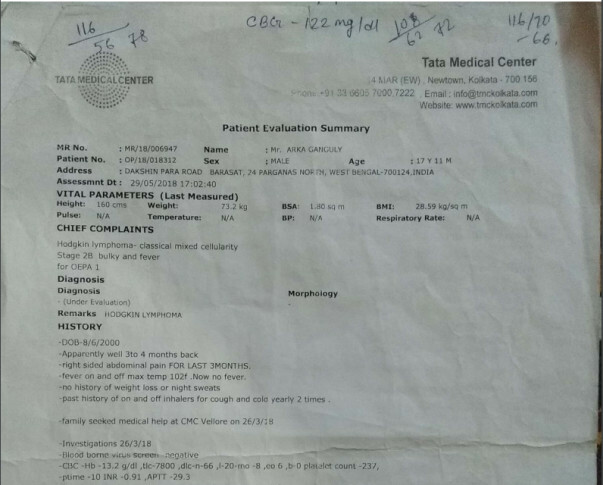 He started feeling stomach ache frequently during January 2018. 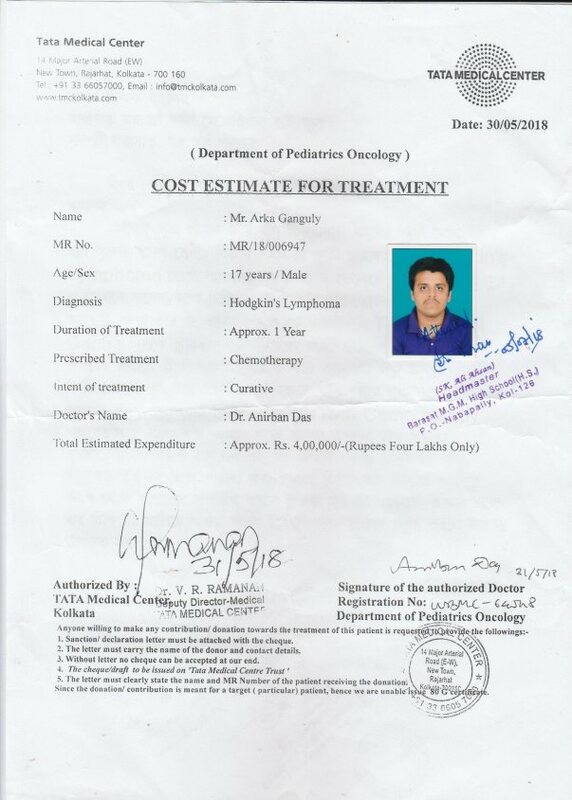 Then subsequent visits to various doctors and medical tests confirmed Arka is suffering from Hodgkin Lymphoma. They rushed to Vellore CMC for treatment with monetary support from relatives. 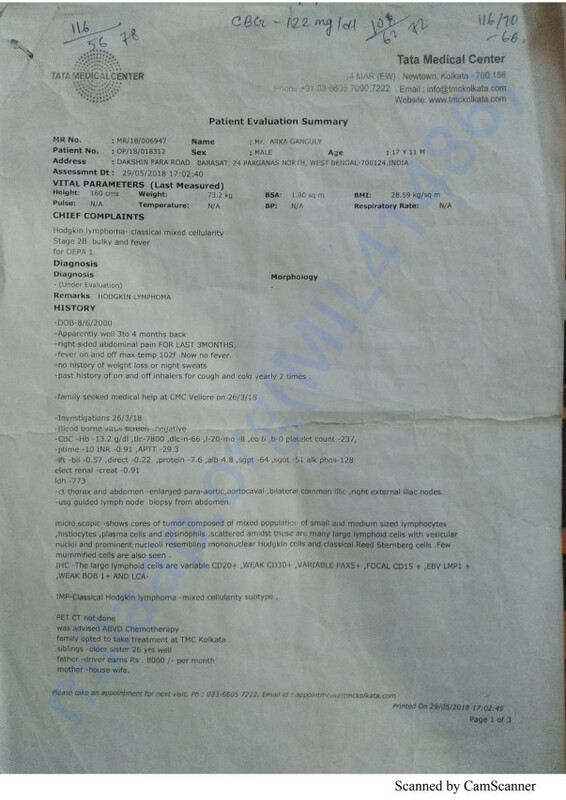 After spending 40 days in Vellore, Doctors suggested to go through chemotherapy as his cancer was in Stage II . It was difficult for them carry on treatment being in Vellore due to prolonged appointment dates. 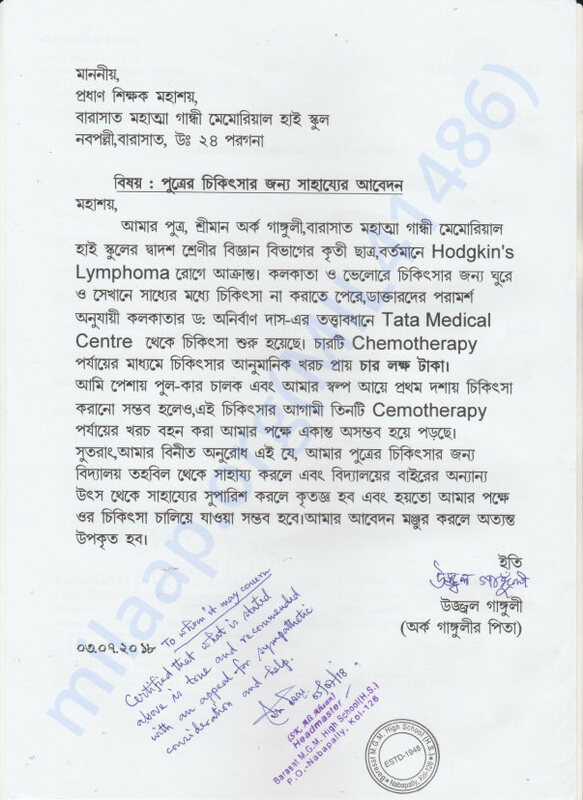 So they decided to move to Kolkata Tata Medical Center for Chemotherapy. 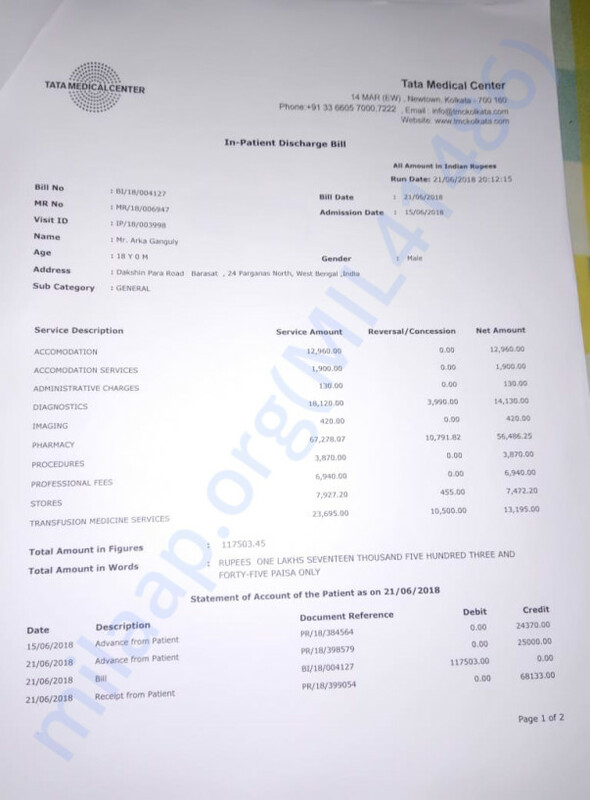 Tata Medical Center had provided an estimated cost of 4 Lakh in 4 cycles of Chemotherapy. Right now 2nd cycle is going on. Arka is due to PET scan on 31st July to determine the current stage after completing the chemotherapy. Arka's Family is able to gather 2 lakh INR with help of relatives, Neighbours and well wishers. We are trying to raise remaining 2 lakh by 25th July. Please help. We are Alumnus of Barasat Mahatma Gandhi Memorial High School ( Bodhayan, Chandra , Chayan on behalf of 2002 batch ) visited Arka's house on 8th July evening to meet his family and inquire about his condition. Arka is doing better now with the help of his well wishers. We are withdrawing these amount from milaap to support his ongoing medical expenses. Thanks again for all who supported. Thank you for the support. Arka is doing better than earlier. He is now going through 5th cycle of Chemotherapy. He had some nerve related issues now as well, so as per doctors recommendation Physiotherapy sessions are going on. Please do pray for his health and speedy recovery. Will keep you posted. Our Cordial thanks to all the contributors on behalf of Arka and his family. 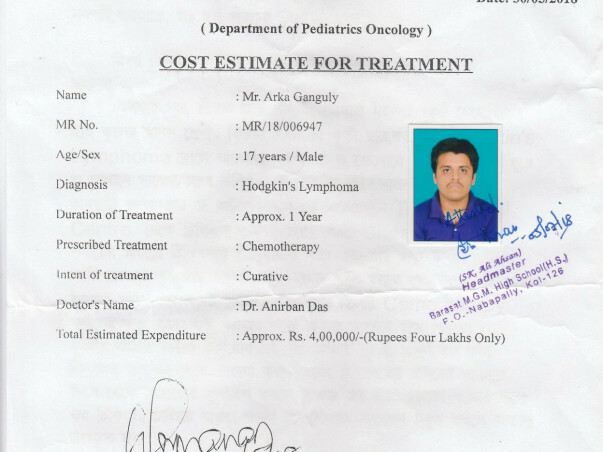 We need 25000 inr more for raising Arka's treatment cost of 2 lakh. Please help Arka. Today is the last day of 2nd cycle of chemotherapy of Arka. He will be released from hospital from tomorrow.